It's time to renew your season tickets. 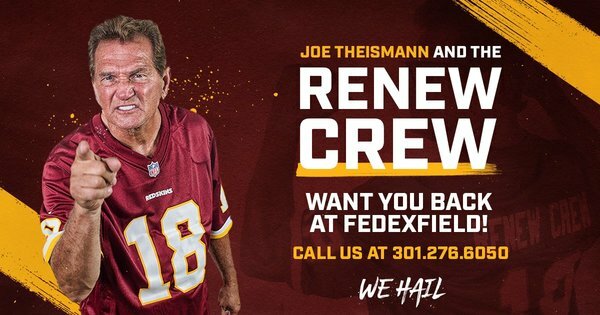 @Theismann7 and the Renew Crew want you back at @FedExField ! Definitely a DeAngelo Hall impersonator out here on the sidelines in full No. 23 uniform. Don’t shake that dudes’ hand and snap a pic unless you’re doing bits. LOL man. Absurd catch from Mo Harris on the sideline over two defenders. Discussed on pod yesterday, Doctson missing a day or two is good for Harris. More reps.
#Redskins RB Rob Kelley on if there's a legitimate competition for the No. 1 spot: "There's ALWAYS competition." Doesn't sound like a man conceding a damn thing. We've received great support the past few weeks for our daily @SportsCapitolDC newsletter. All it takes is an email to subscribe. 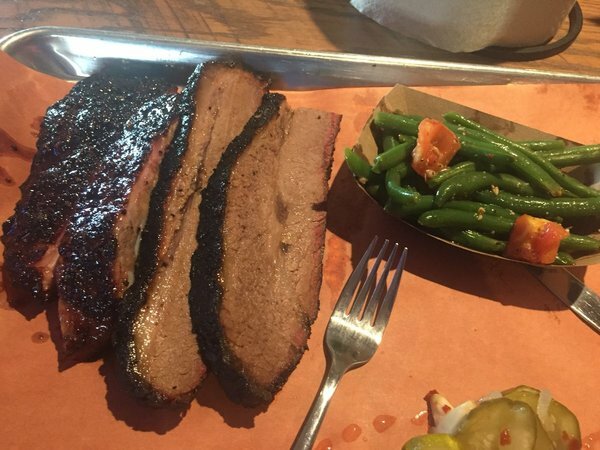 You get links to all our stories and a recap of that day's big news in D.C. sports. It's never dull these days. Sign up here! The winner of the Get in the Game sweepstakes will have private car service and much more. You'll get to the game almost as fast as @ChrisThompson_4 shakes defenders. 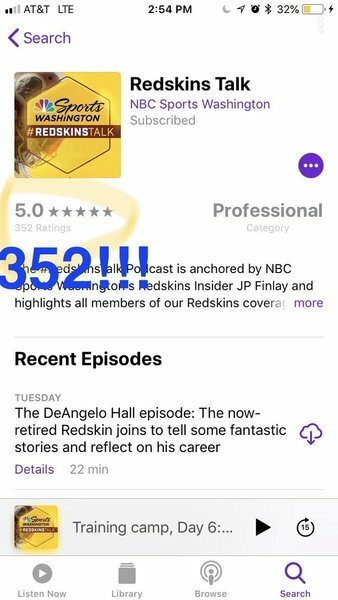 DeAngelo Hall had a pretty fun/crazy press conference yesterday. Got me thinking about other great/insane/entertaining #Redskins press conferences of recent years. Crowd sourcing Twitter for ideas. Any thoughts? And, yes, Harvestfest. I got you. Lol. "Don't be scared of me, kid." 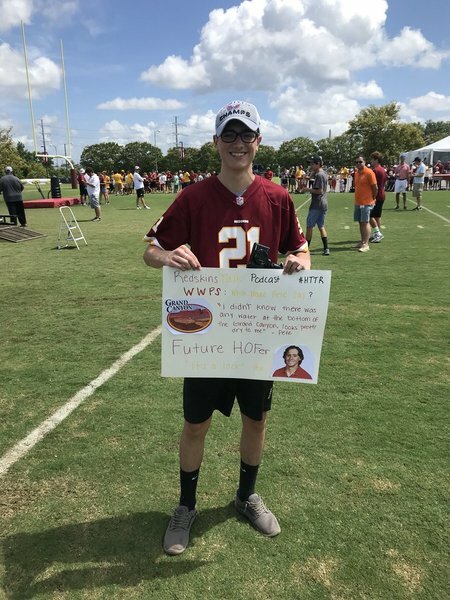 Jay Gruden getting in on the training camp fun. 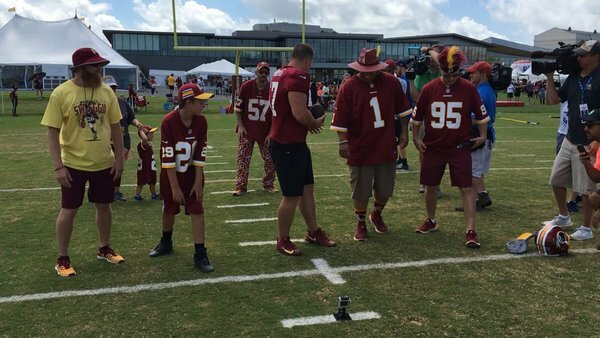 Redskins Afternoon walk-through cancelled because of storms. Today's afternoon walkthrough practice has been cancelled due to inclement weather. 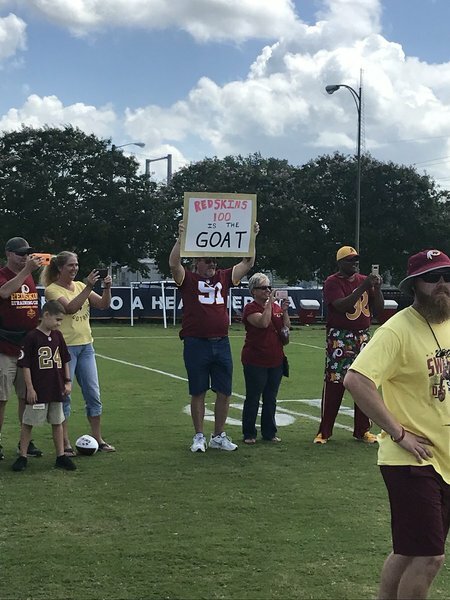 #Redskins afternoon walk through has been canceled so...please don't show up at Bon Secours Training Center. That would be weird. And probably dangerous given these thunderstorms. Friday an off day. 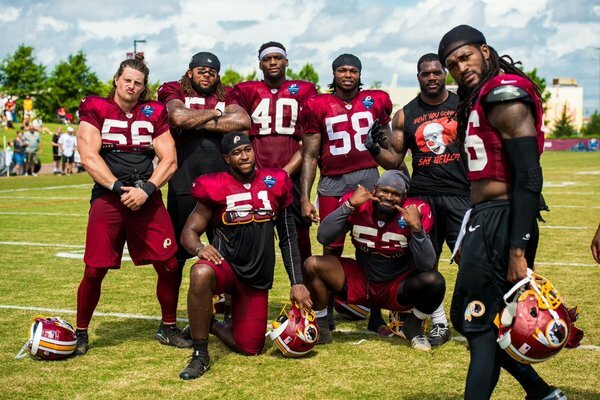 #Redskins back at it Saturday morning at 9:45am. 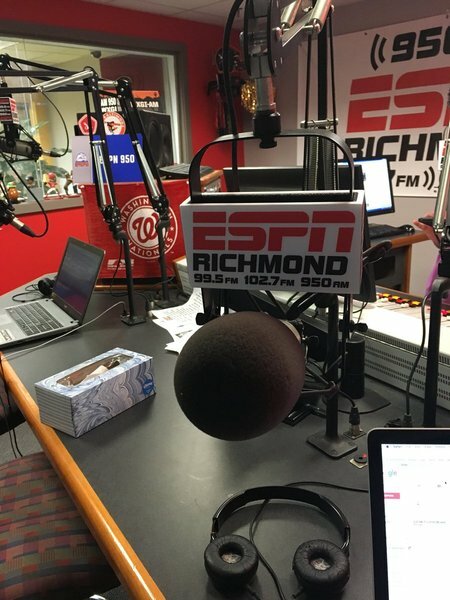 Tweet us fantasy football questions for @MikeClayNFL and we'll try to get to some of them in our third segment on ESPN Richmond (99.5,102.7FM, 950AM).